2011 had been an interesting year for my photo journey. We went to the Philippines for the first time, that was exciting and beautiful, went back to Indonesia to visit families and had a chance to go to Sulawesi and dive in Bunaken, something that I’ve always wanted as it was apparently one of the best diving spots in Indonesia. The highlight was when we were about to go home to Darwin and visited my aunt in Denpasar and was looking for a taxi and then someone with his motorbike grabbed my EOS camera and ran away, but then the insurance was easy enough to cover the lost and with the same price as the lost camera I bought, I could upgrade to a better one. Although, I still can’t forgive myself for not backing up the photos from that holiday. 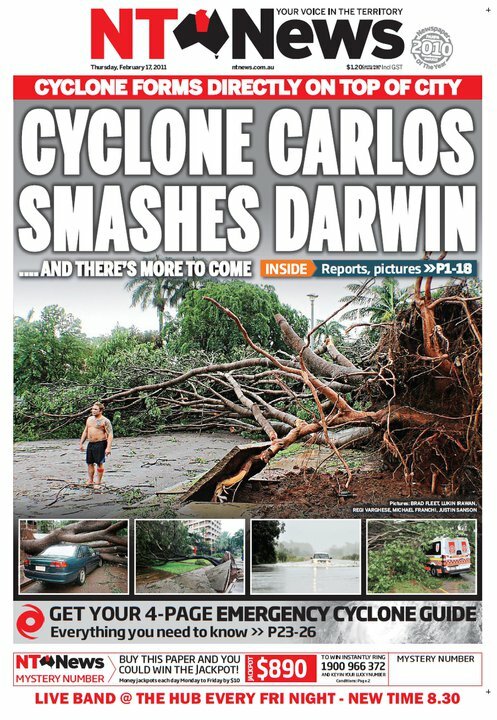 And the other highlight is I made some of my shots into the local newspapers, and one of them, which was the Cyclone Carlos, was on the front page.